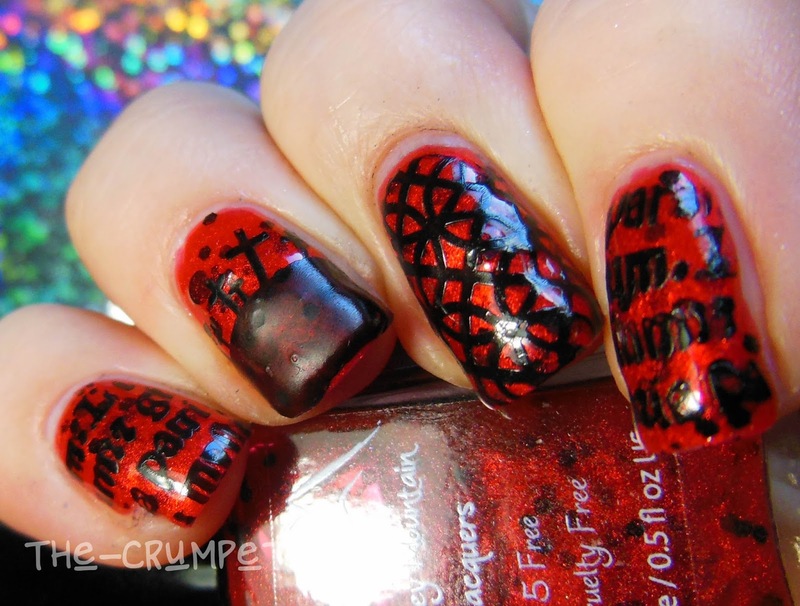 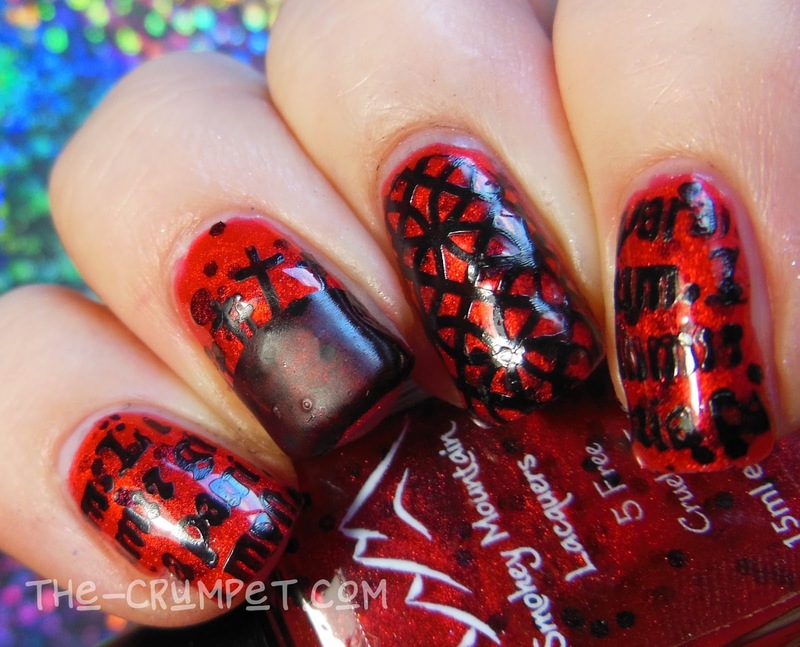 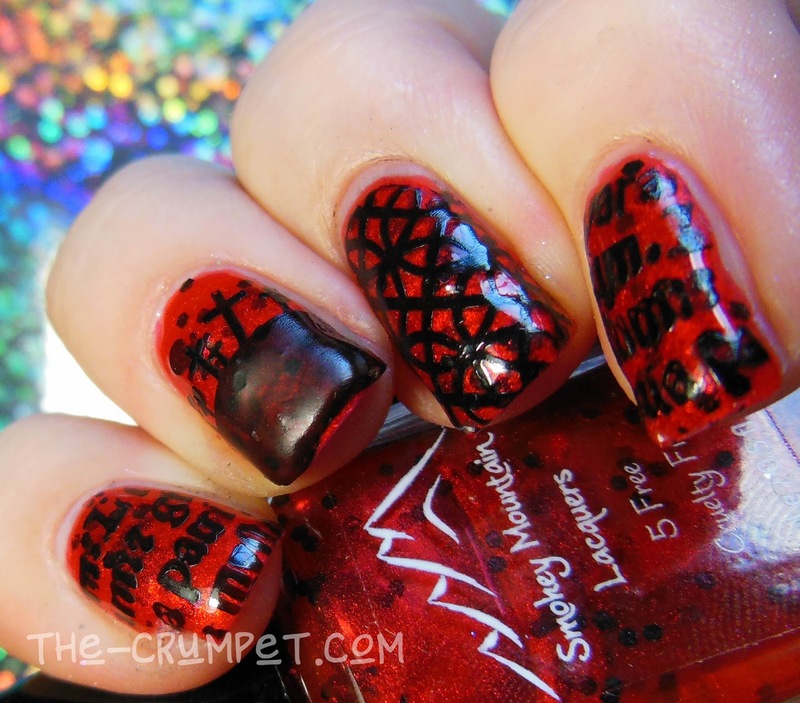 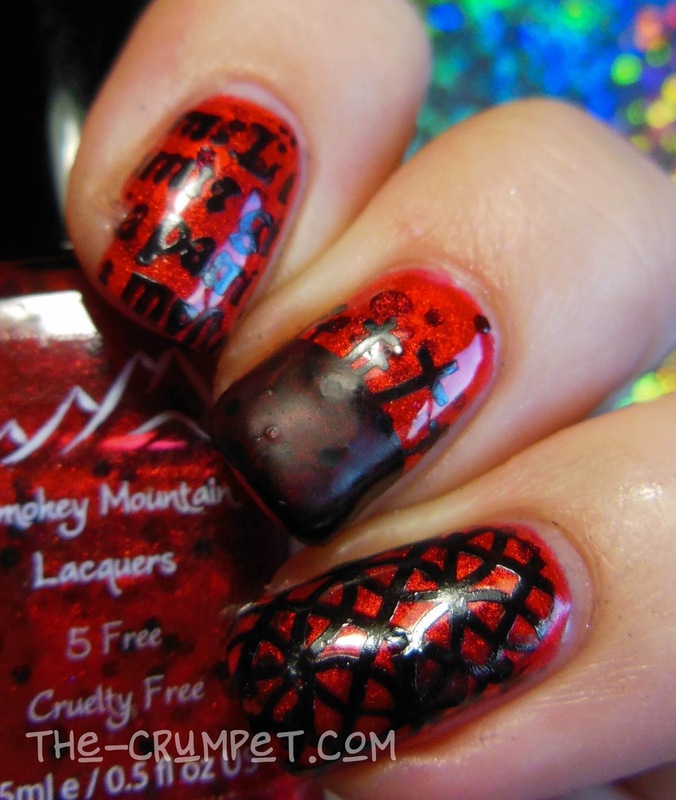 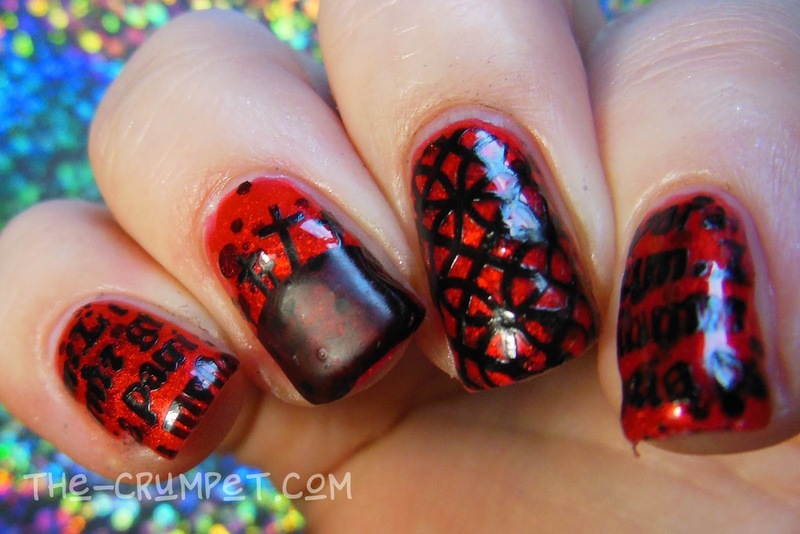 And welcome to the final piece of nail art inspired by American Horror Story. 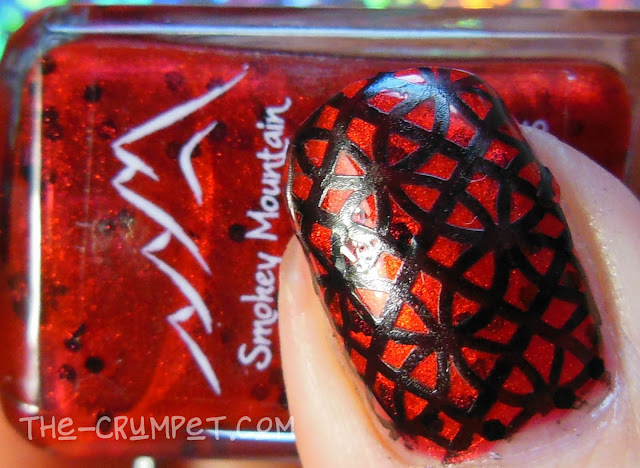 Today I used Soulless from the Smokey Mountain Lacquers AHS collection, and I love how this turned out. 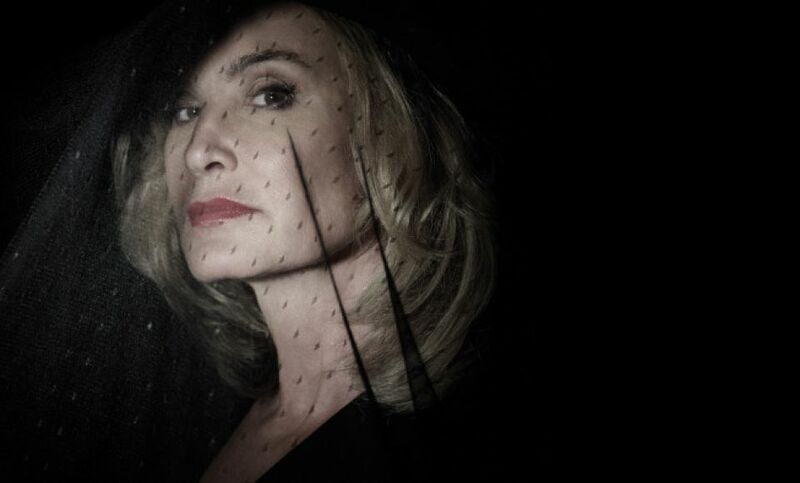 Soulless is inspired by Fiona from Coven, the supreme witch with no morals, deliciously played by Jessica Lange. 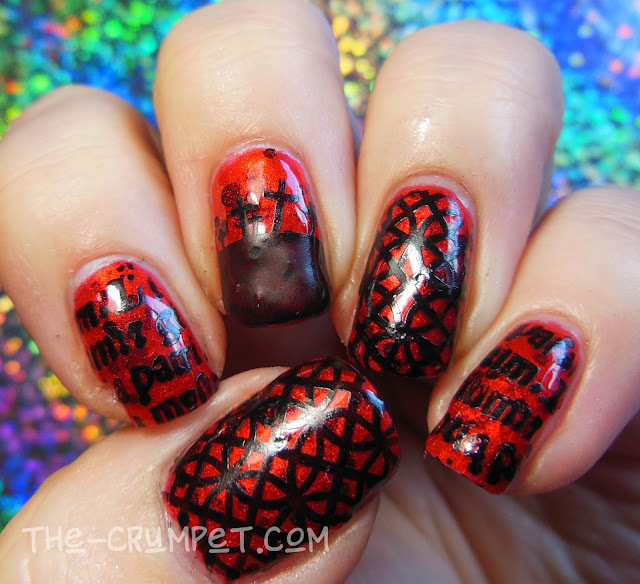 Coven is a series I both love and hate. I love witches and anything connected to witches, but I wish the series hadn't been so fixated on Emma Roberts's character. 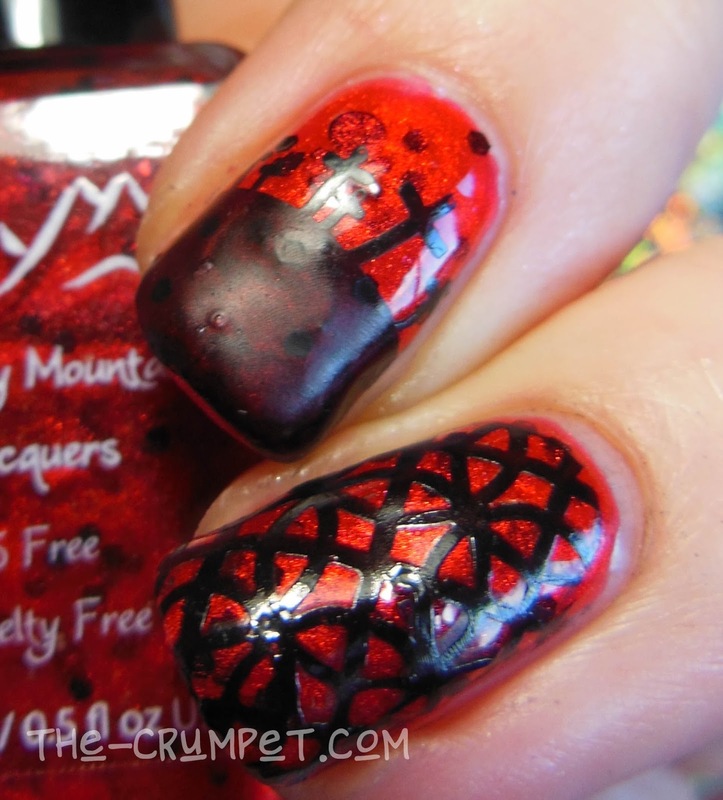 Coven is a series of blood and death, pain and gore, and the polish works perfectly with these 3 images from the MoYou Gothic 04 plate. 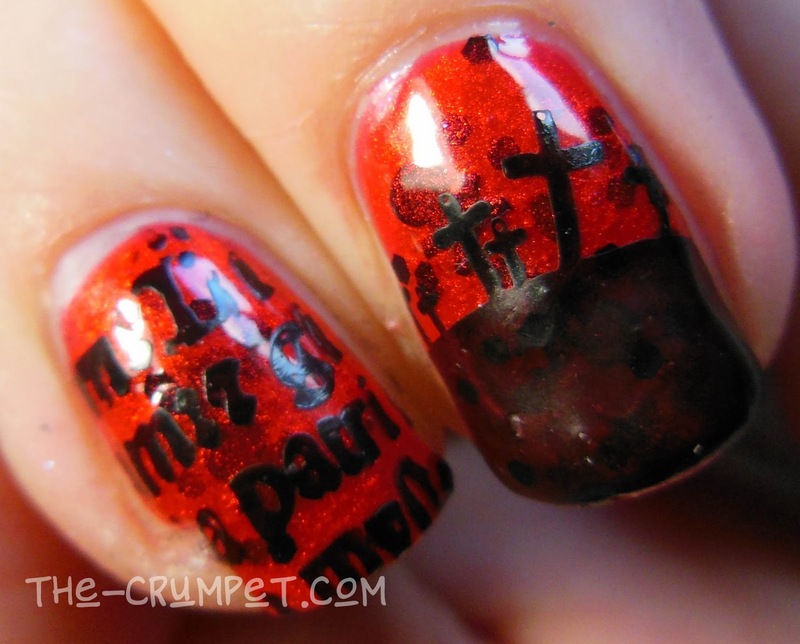 I particularly love the index finger, where the glitter in the polish creates a shadow under the letters - very demonic! 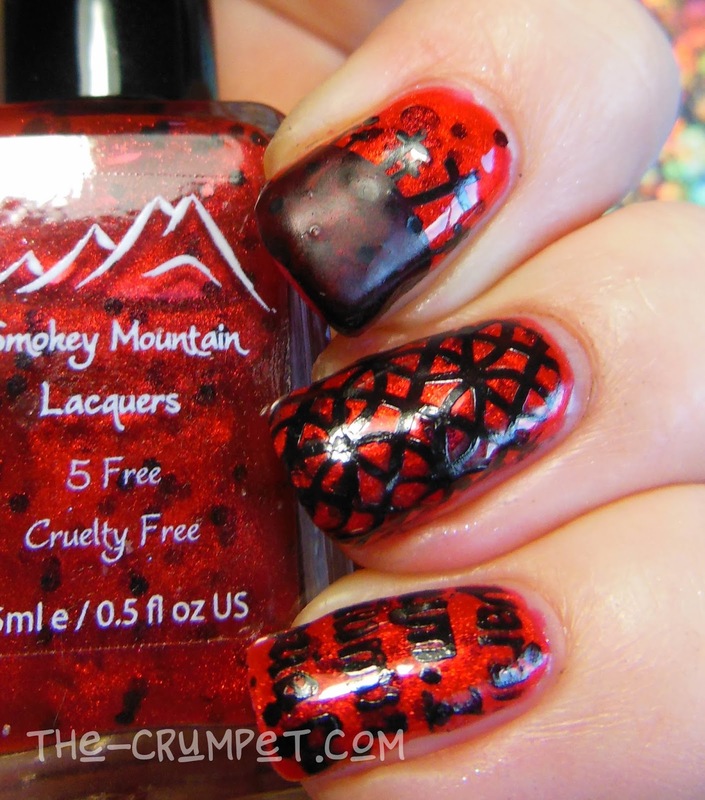 I hope you've enjoyed seeing the nail art with these polishes. 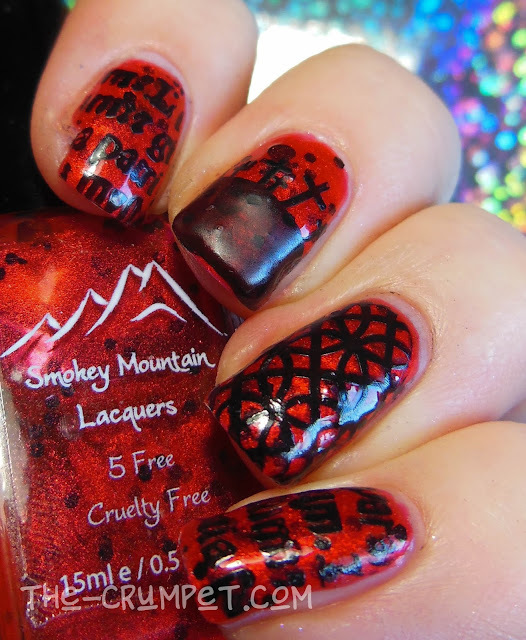 The entire 6-piece collection launches on Friday 2nd October at 7pm EST and can be purchased HERE.